In The Luck Uglies, Rye O’Chanter came to realize her family had been lying to her all her life. Nothing has changed. Rye learns there are many more family secrets. Rye also learned in The Luck Uglies that those she lives with, and around, are not who they appear to be. This, too, continues as new people enter Rye’s life. And the classic theme of good versus evil continues with a slight variation. This time, it’s good versus evil and evil versus evil, making the lines blurrier than ever. At the start of Fork-Tongue Charmers, Rye and her friends are anxiously awaiting Silvermas, and anticipating shoes overflowing with candy. On the eve of Silvermas, three strange, masked men knock on the O’Chanter door with a message: Harmless wants Rye to join him posthaste. 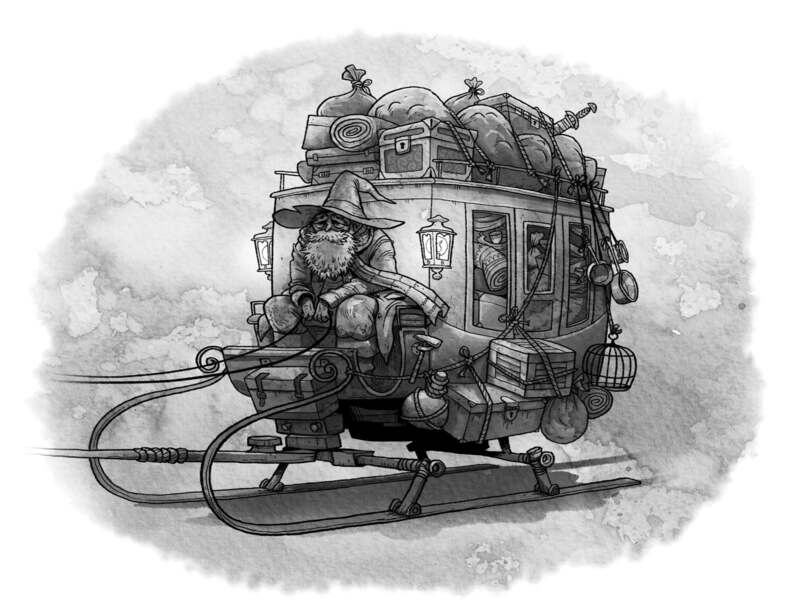 Soon, the magical Silvermas Mud Sleigh arrives for Rye, but something is amiss. Meanwhile, Earl Longchance hires a new constable, Valant, who has a violent, vindictive reputation and fears no one. He immediately implements new rules and laws. Villagers who seemingly violate Valant’s strict and often unfair laws receive public humiliation and severe punishment at the Shaming Pole. Abby and Lottie move out of their home (and into the notorious Dead Fish Inn), after Valant burns down the Willow’s Wares. Once the Mud Sleigh is ravaged on Silvermas—with Rye aboard—Valant posts a new decree. Abigail O’Chanter and her Two Offspring! Once more, the relatively peaceful lives of Abby, Rye, and Lottie O’Chanter are disrupted as they, Folly, and Quinn are thrust into situations few could survive. Sent to the Isle of Pest—Abby’s childhood home—via the Slumgullion, a rickety pirating vessel navigated by an over-the-top Captain Dent, calm returns but questions continue. 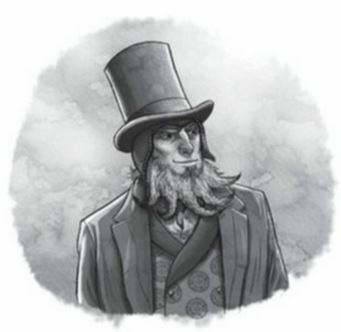 Refusing to cease when so close to victory, Earl Longchance follows the Slumgullion to Pest, and wages a surprise war against a group of peaceful people. Where is Harmless? How far will Valant and Earl Longchance push the people of Drowning? What new secrets will Rye uncover? Will she ever get off the small Isle of Grit? OH, I’ve forgotten one important thing, who are the Fork-Tongue Charmers? 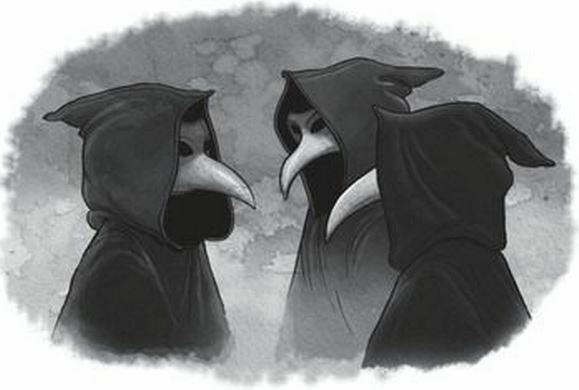 These men are easy to identify, if they will open their mouths. They have willingly split their tongues like a snake. Slinister, the group’s aptly named leader, seeks revenge against Harmless, having no qualms about using a child in his scheme. One last piece of vital information; these Fork-Tongue Charmers are Luck Uglies. Durham’s second novel will lull you on a nice countryside filled with sheep and eccentric personalities. He gets you all snug and cozy then, just as you are enjoying the oddness, BAM, the worlds of Drowning and Pest collide, tossing you like the sea back into an adventurous fantasy only Durham could handle with such precision. The Fork-Tongue Charmers are not so charming, but Dunham’s story will keep you glued, wondering whom these men really are and what Slinister really wants. He (Slinister), abandons Rye, alone, on the Isle of Grit, in the open sea, doomed. The final chapter gripped me tight as I waited for the impossible to occur. But can all end well that starts badly? Dunham’s writing has improved. Pushing the envelope in children’s literature while taking kids—and adults—into an unforgiving medieval world, where princes dress like commoners and heroes are villains, each book of The Luck Uglies series amazingly can stand on its own. Fork-Tongue Charmers belts readers into the first car of a roller-coaster ride with intriguing, often eccentric, characters with unlikely stories belted in behind them. The lure of impressive and imaginative writing made me a loyal fan who believes in Dunham’s brilliant creativity. If his writing continues to improve, as I suspect it will, book 3 (as yet un-named), will shoot readers into the stratosphere of kidlit, glad to remain there as long as Dunham will have us. 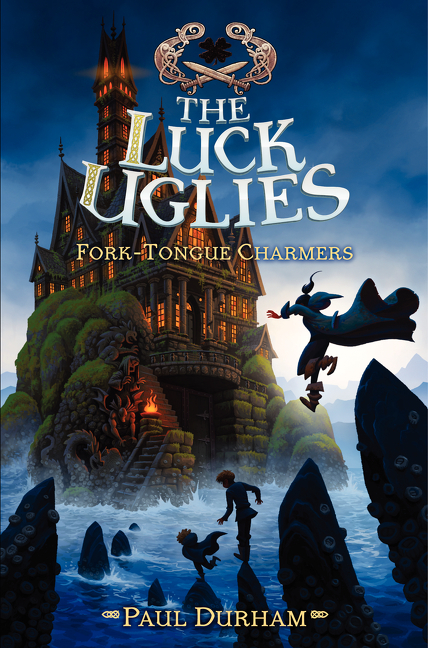 FORK-TONGUE CHARMERS (LUCK UGLIES, BOOK #2). Text copyright © 2015 by Paul Durham. Illustrations copyright © 2015 by Pétur Antonsson. Reproduce by permission of the publisher, HarperCollins Children’s Books, New York, NY. Purchase Fork-Tongue Charmers at Amazon —Book Depository—iTunes—HarperCollins C. B. Learn more about Fork-Tongue Charmers HERE. 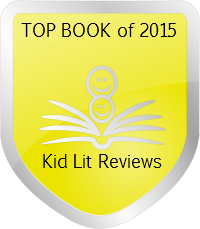 HarperCollins Children’s Books is a division of HarperCollins Publishers. Sounds fun, Sue. Great review! Sue, This sounds like a great book! How does this compare to Potter in terms of scariness? Reason why I am asking is that I’m looking for books for my eight-year old that are fantasy but not too scary. He’s read some books that have given him real nightmares and if he’s up, you know the rest of us are too! Great review, Sue! The Luck Uglies series, book 1 and 2 ( Fork-Tongue Charmers ) are not scary. No nightmarish themes or scenes. The series is action-adventure-magic-fantasy and social commentary. The crazy Earl hates the Luck Uglies, and wants vengeance, but has no idea how to win and what he tries backfires. In book 2 he hires a new constable who is a mean guy and ready to make everyone criminals (there is a surprise with this guy – he is not who he says he is). I really think your son — and you — will like The Luck Uglies series. 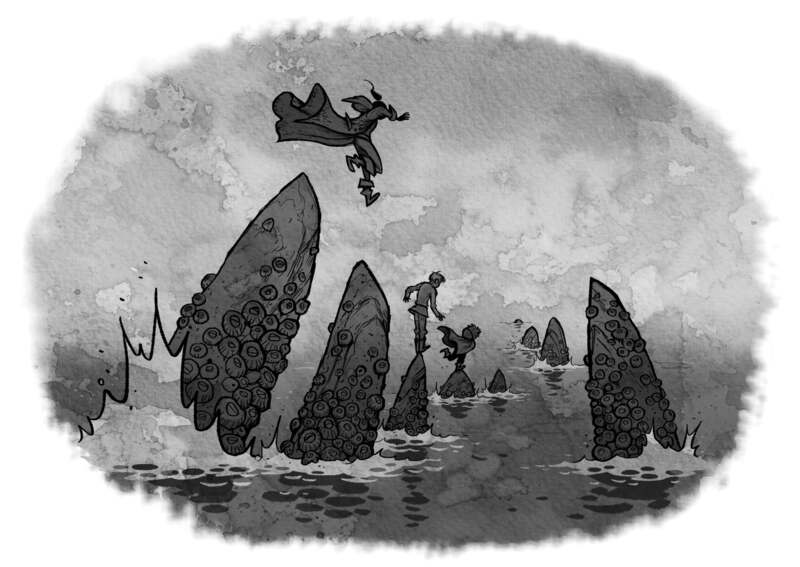 The main theme is about Harmless and Rye getting to know each other, which is difficult for Rye because Dad Harmless is the High Chieftain of the Luck Uglies and often leaves without notice. She just learned who her father was in book 1 (age 11), so there is a lot to get to know. This is a FUN series that makes the reader thinki. No Harry Potter scares. I’ll let you know about book 3 when it arrives. Thanks! Both books are on my list!